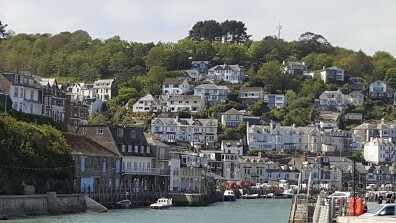 The seaside town of Looe in south east Cornwall is still very much a working fishing port. Many of the towns shops are located in buildings dating from the 16th and 17th centuries. We include visits to The Lost Gardens of Heligan and seaside towns of Fowey and Polperro. 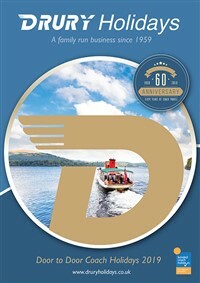 We also include a train ride on the Bodmin & Wenford Railway. After our door to door service we make our way to the south west and arrive in Looe late afternoon, with time to relax before dinner. A suitable stop will be made with the chance to purchase lunch. Today we travel to the Bodmin & Wenford Heritage Railway for a relaxing return journey on the line which first opened in 1859. 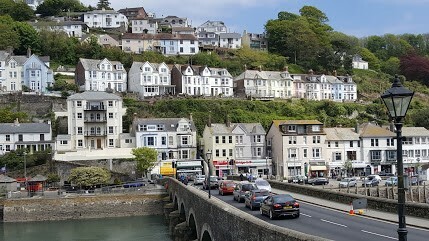 We then travel the short distance to the seaside harbour town of Fowey, where lining the main Fore Street you will find many small, independent shops selling unusual gifts, artwork, clothing and books. 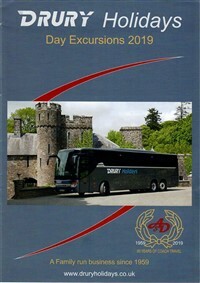 After breakfast we join the coach for our first stop today, The Lost Gardens of Heligan. Twenty-five years ago, Heligan's historic gardens were unknown and unseen; lost under a tangle of weeds. It was only the chance discovery of a door in the ruins that led to the restoration of this once great estate. Today, The Lost Gardens have been put back where they belong: in pride of place among the finest gardens in Cornwall. 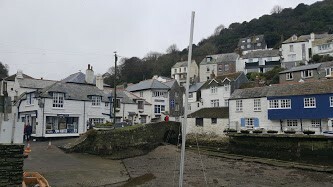 Later we visit the harbour town of Polperro, with its quaint narrow streets. We enjoy a relaxing free day to explore Looe town. Why not visit Looe Museum which reveals a collection of smuggling memorabilia, the town's railway heritage and some wonderful model boats housed in the towns old Guildhall and Gaol. 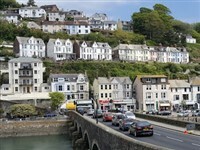 Looe is also a great place for walking. The South West Coast Path passes through the town, plus there are countless walks in the beautiful countryside, or along the two rivers that flow inland. After breakfast we leave Cornwall and travel north where we make a stop for lunch. 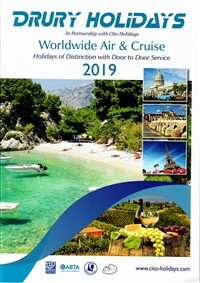 We meet our door to door service early evening. 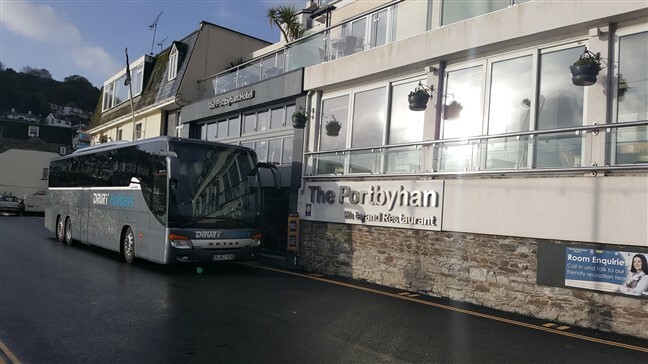 The Portbyhan Hotel is situated in an unrivalled position right in the heart of Looe, allowing guests to relish the panoramic views of the vibrant harbour with only a short stroll into Looe town. Feel at home in one of the newly refurbished, warm and welcoming bedrooms. Unwind in front of the TV complete with Freeview channels, rejuvenate in the comfortable bathroom and enjoy a fully stocked and complimentary hospitality tray. The hotel has a lift, however some rooms may have steps up to them.